Where’s Waldo? Find the 3 Trombonists! I recently added the below caption and image to the Trombone History Timeline (17th century–first half). 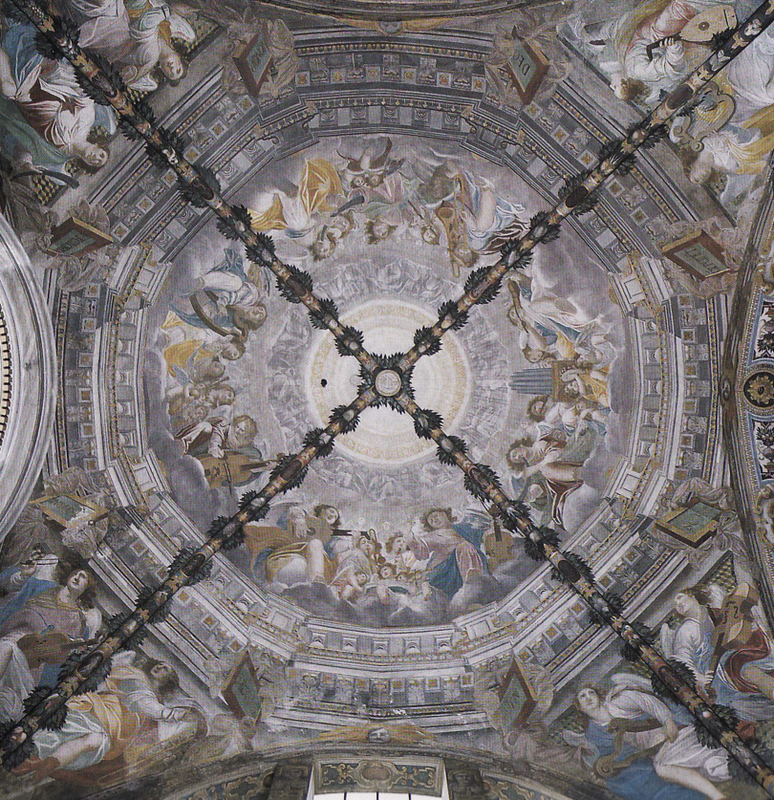 Rather than make it easy here and include the details that clearly show the three trombonists, as a little challenge, I am only including the wide view of the ceiling. See if you can find all three trombonists (hint: one of them is a little outside the “borders”). Click on the picture for a larger version. 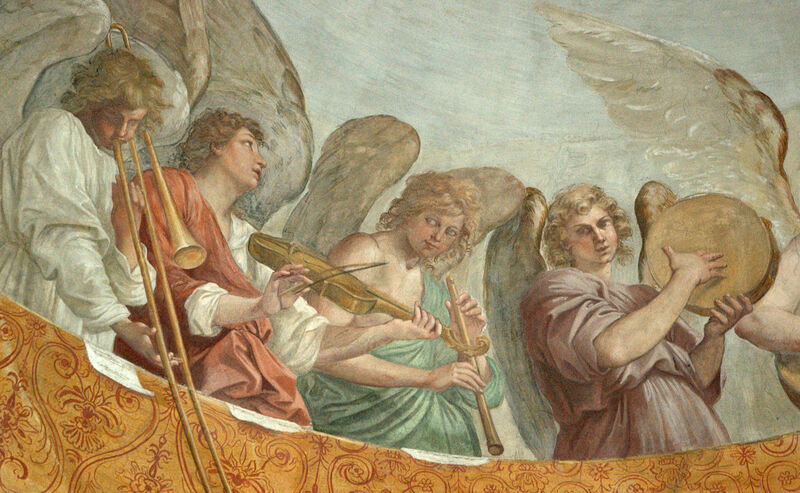 1617—Milan, Italy: Bartolomeo Roverio includes 3 trombones among many angel musicians in a ceiling fresco at San Marco (see below image; public domain) (Perer 172). We found them. My wife and I both looked and it took us awhile to find the third one. Good job. It took my dad, a retired art professor, a while too!